Let me tell you the secret about, how creative designers and web developers catch the visitors attention so easily and how to turn their website visitors into customers? People who always loves minimalistic approach when they are looking to build a website to their business or some other purposes. Creative agencies and web developers knows this secret well and always try to impress their clients and customers by showcasing their portfolio via minimalistic approach to catch their audiences attention. If you are looking to build your website to show case your portfolio, minimalistic creative portfolio WordPress themes is the best way to attract most of the audiences, but finding such WordPress themes collectively tooks plenty of time. Here we have handpicked best of minimal looking and faster loading creative portfolio WordPress themes from various developer websites and market places to choose the best one for you. 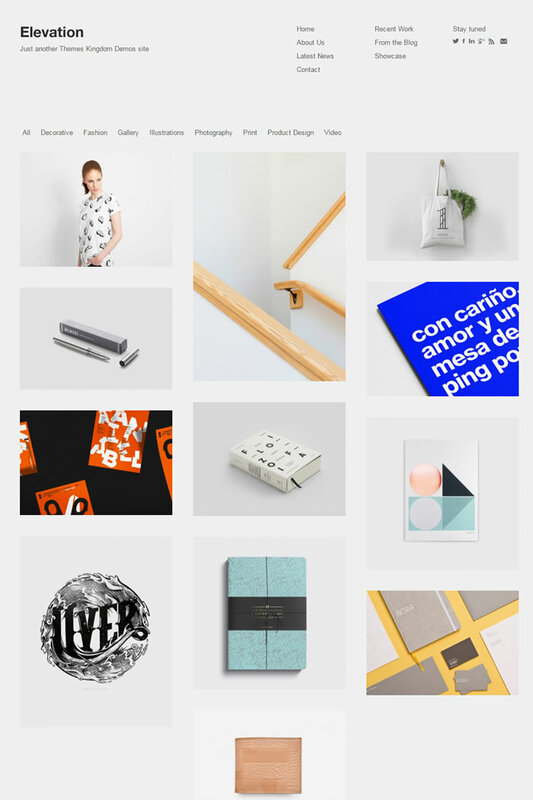 Milo is ultra minimal portfolio WordPress theme specially made for photographers, artists, illustrators websites. 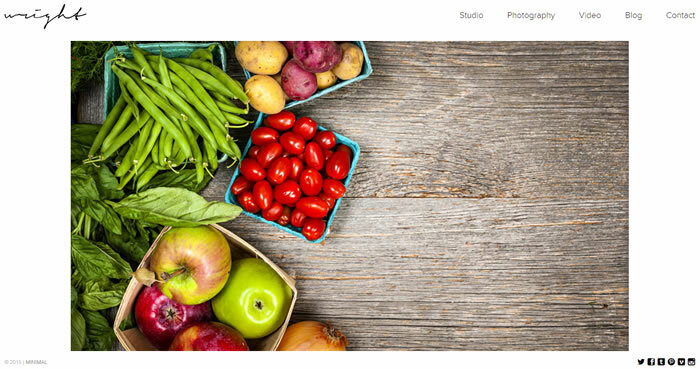 Its WooCommerce ready portfolio WordPress theme built with 100% responsive layout. Easily customize the background colour, navigation menu, logo and fonts through powerful theme options panel and built to support Adobe typekit fonts along with Google Webfonts as well. Portfolio is very stylish ultra minimal portfolio WordPress theme built with powerful theme options panel helps you to setup your portfolio websites the way you want. Coded with plenty of shortcode elements and also included with blog section is very handy feature for every webmaster. Quickly translate your website using built-in theme translation panel provides an easy way to translate text appearing on your site without the hassle of handling .PO, .MO files. Control and setup theme fonts including Post title, content, sub- heading, sidebar fonts from 17 embedded Google fonts via theme options panel in simple steps. Workality Plus is ultra minimal Portfolio WordPress theme powered by Northeme Framework and built with light, grey, dark colour schemes or create your own colour scheme through theme options panel. Works perfectly with 4.4+ WordPress releases and featured with custom post type manager helps you to manage your content with ease. Workality Plus enabled to support complete ajax navigation allow you to load pages without page refresh and integrated with advanced grid layout manager helps you to build your own grid layout with custom settings. Workality plus built to support with various fonts including Google Webfonts, Typekit or other 3rd party font providers. Its search engine friendly, cross browser compatible premium WordPress theme shipped with built-in SEO manager and theme compatible with latest WooCommerce shop plugin as well. Access the shortcodes straight from post editor and translate website in your preferred languages to gain more global customers. Madrigal is very unique, ultra fast loading, minimal yet bold creative portfolio WordPress theme specially made for creative agencies, freelancers and portfolio websites. With madrigal create full page covers for pages, posts and categories with ease and you can set your own background, colour or image, text colour, title and captions how ever you want. Also Madrigal WordPress theme built to support post / page specific background colours or images before publish them. Included with various page layouts and you can easily on / off the post title via post editor options panel itself. 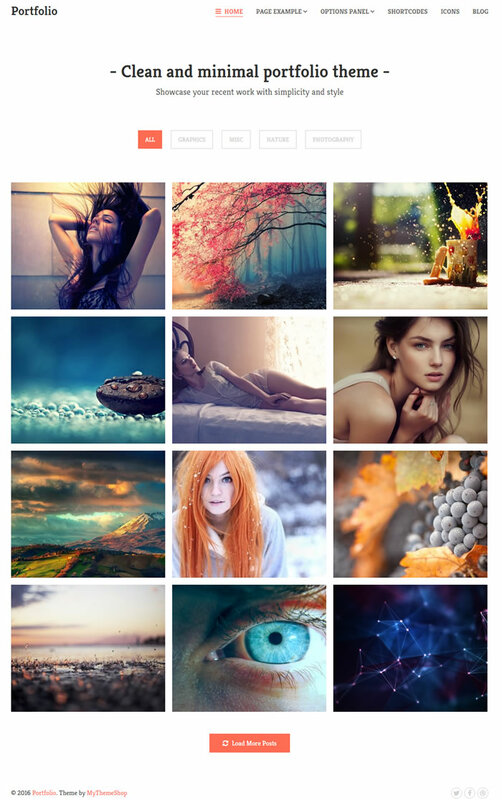 Also you can setup featured image or video as featured media and theme shipped with grid layout manager, custom post type manager, slider & gallery manager and also built-in lightbox plugin will be automatically applied to WP galleries, and built-in slider & galleries. Wright is visually stunning, classically designed portfolio WordPress theme made for photographers, artists, illustrators and freelancers. Its 100% responsive, retina ready compliance WordPress theme compatible with Jetpack, SEO yoast, W3C total cache, WP-Super cache WordPress plugins and embedded with Google webfonts, genericons, fancybox jquery script helps you to showcase your portfolio content the focal point of every page. CleanBold is fresh looking, very creative, ultra minimalistic portfolio WordPress theme designed with lots of whitespace to let your products do the talking. Tested with WordPress 4.4+ and works perfectly in various modern browsers including internet explorer as well. Designed with 100% responsive layout, so it looks great no matter what size screen you are viewing them on. CleanBold WordPress theme included with powerful custom widgets and its fully localized so you can translate them into any language you choose. Capiton is extremely flexible personal portfolio WordPress theme with versatile responsive layout fits perfectly across all device displays. Built with hundreds of Google web fonts to choose from and easily customize the theme such as upload logo, change the theme colours, setup custom widgets in real-time without entering into theme options panel. 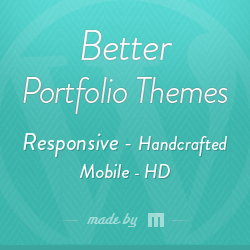 Capiton is multilingual ready premium portfolio WordPress theme fully compatible with WPML WordPress plugin. 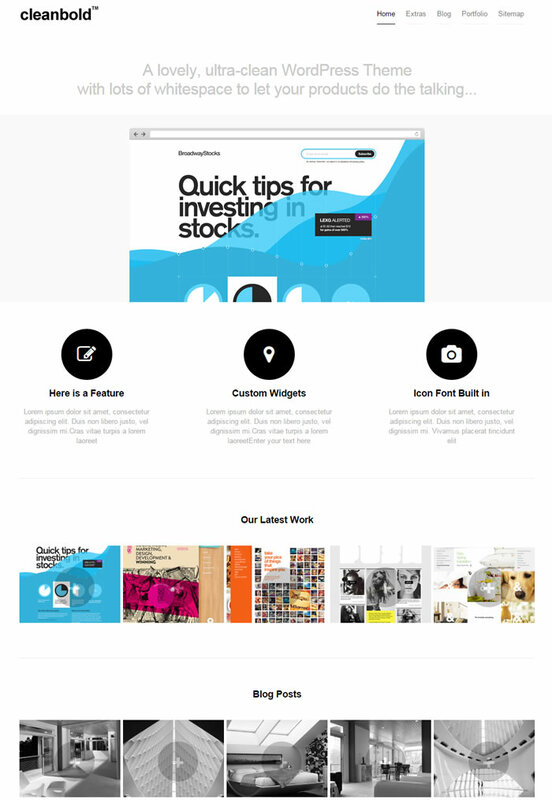 Built with featured slider option and integrated with fontawesome icons to add more spice to your portfolio website. Collective is simple, clean and very effective portfolio WordPress theme comes with 8 awesome colour schemes preloaded 8 beautiful background patterns. Its valid HTML5 / CSS3 compliance portfolio WordPress theme designed using 960 grid system (boxed width) and compatible with most of the modern browsers. Powered with Fuse Framework and comes with built-in SEO module that offers you complete control & takes care of everything and theme featured with mega menu navigation. Its multilingual ready WordPress theme coded with powerful custom widgets and built to support unlimited sidebar options. 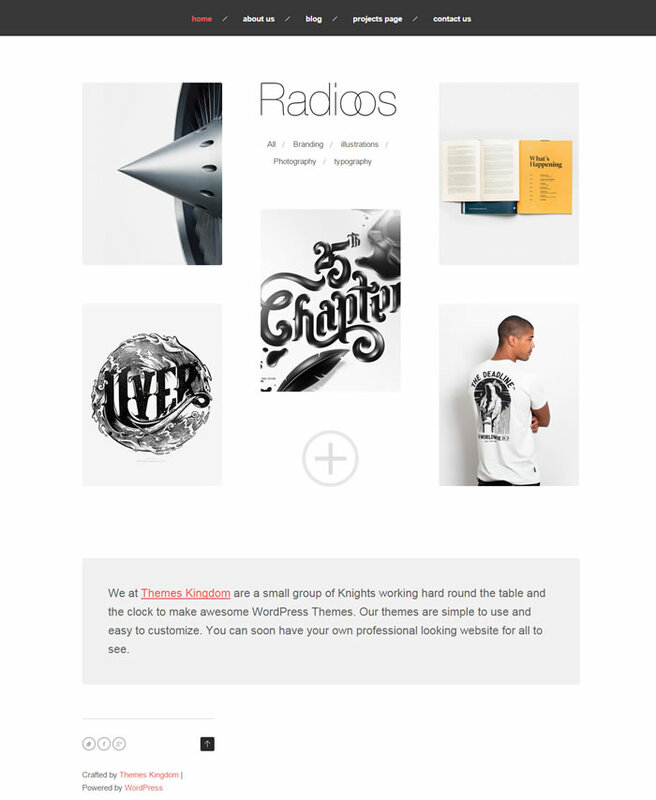 Radioos is grid style portfolio WordPress theme designed with 100% responsive layout and comes with white label theme panel. Suitable for portfolio, creative agencies, photograpers and freelancers websites and loaded with plenty of custom widgets to display your ads, tweets, Facebook page and other dynamic content and lot more. Display the theme in any language using .PO files and theme built to support Google Maps as well. Built with powerful shortcodes to edit rows, columns, buttons, dropcaps and stuff like that. Comes with contact form page template and bundled with all the theme PSD files so you can make custom changes if you need to. 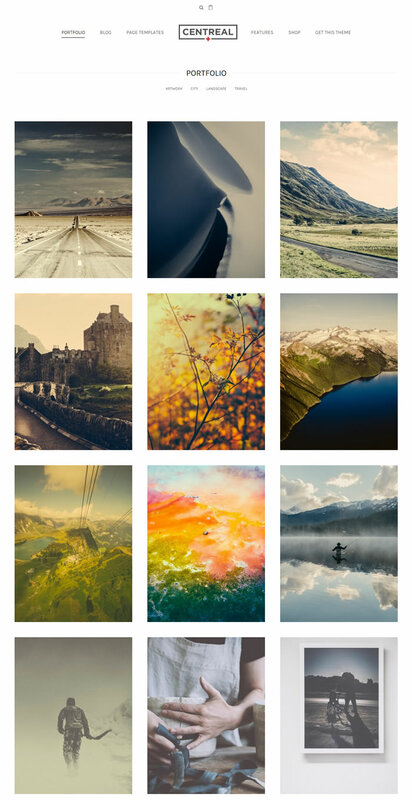 Elevation is minimalistic, elegant looking, grid style premium portfolio WordPress theme perfect fit for portfolio, freelancer, creative agencies and photography websites. Its high definition, 100% responsive WordPress theme easy to translate using .PO files bundled with the theme. Elevation is cross browser compatible, search engine friendly WordPress theme works perfectly with WordPress 4.4+ releases and comes with various portfolio and page templates as well. 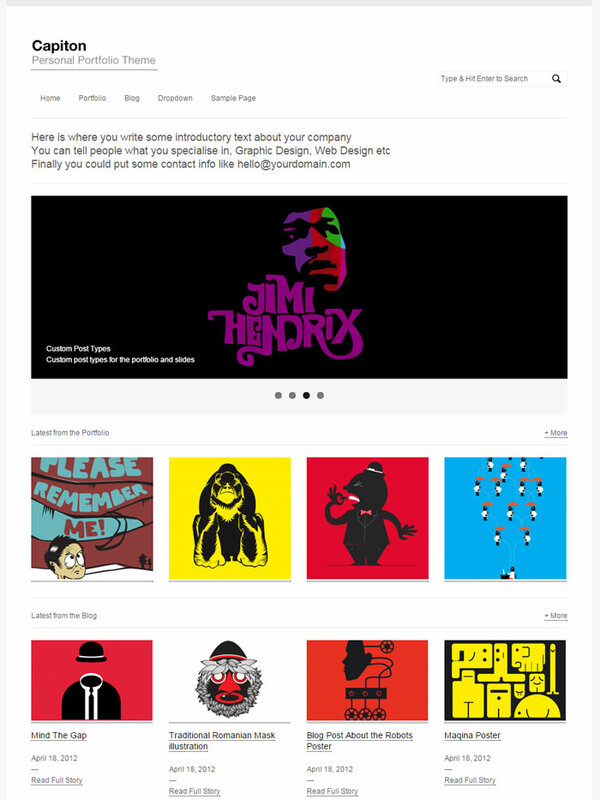 Dorsey is the only WordPress theme which craftly created for creative agencies, studio, portfolio and photography folks. Its very spacious, search engine friendly WordPress theme effective showcase tool for photography and portfolio assets in style. 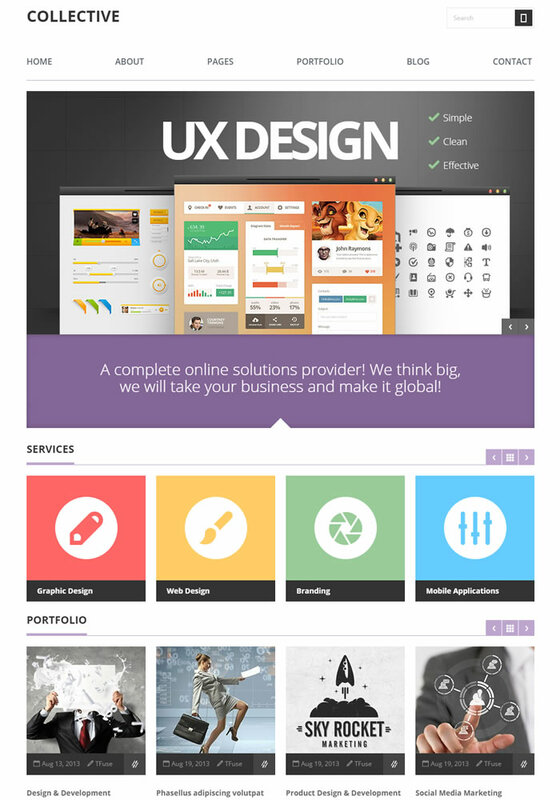 Dorsey features smart responsive design to display page layouts well regardless of screen size or device type. Enabled to support HiDPI Image Logo or HTML logo and dorsey theme integrated with Google web fonts. Its WooCommerce ready clean & minimal WordPress theme built to support tree style menu navigation and comes with HiDPI social icons. Centreal Plus is a slick, center aligned, boxed width portfolio WordPress theme designed with care and compliance with HTML5 / CSS3 web standards. Suitable for portfolio, photographer and agencies business websites and preloaded with 3 awesome colour schemes or create your own in style. Ajax navigation helps you to load pages without page refresh and Centreal Plus WordPress theme comes with three separate menu layout options. Also shipped with grid layout manager, Built-in slider, built-in lightbox plugin and able to configure between Google fonts, Adobe typekit or any 3rd party font providers. Eames is crisp & clean style WordPress theme specially made for businesses like photography, artists and creative agencies. Included with 288 pixels fixed width sidebar menu navigation anf built to support unlimited portfolio layouts or unlimited page layouts in style. Works perfectly with WooCommerce shop plugin and also built with plenty of handy shortcodes, background colour options, integrated Google web fonts and many more. 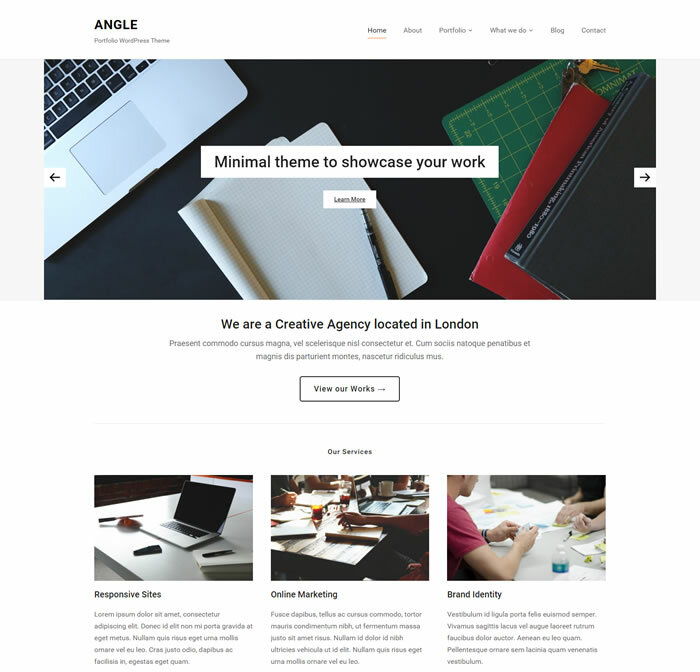 Angle is perfectly coded WordPress theme and loads faster than any other WordPress theme even though in slow internet connections. Minimal design with beautiful clean typography assures more readability, which produces more conversion rate and more money. Designed with 100% responsive layout assures to fit across various device displays and Angle theme perfectly suitable to showcase your services, work and professionalism. Featured with built-in portfolio module and widgetized home page is the key to design most layouts using drag n drop interface without need of any coding skills. Change colors, setup custom background, upload logo and tweak fonts straight from out of box powerful theme options panel. Built using WPZoom Framework and coded with SEO in mind assures better rankings in search engines. Freelo WP is fresh and funky, grid style, minimal portfolio WordPress theme built with modern web standards and helps you to stand out from all the boring portfolios out there. Its boxed width WordPress theme works out of box with WooCommerce shop plugin and shipped with 3 distinct home page layouts to choose from. Comes with transparent sticky menu (fixed header menu) navigation and impress your visitors with stunning slider animations and give life to your web using Layer slider ($18), Slider revolution ($19) are bundled with theme at free of cost. Also shipped with Visual composer ($33) drag n drop page builder at no extra cost helps you to build any kind of page layouts without any programming skills.